What a great nights snooker at Woking Snooker Centre tonight. With all four divisional championships decided in front of a bumper crowd of supporters. The league would like to thank Woking Snooker Centre for use of their tables and club. Jim Angus, Terry Teeman, John Chiverton and Peter Simpson for refereeing. 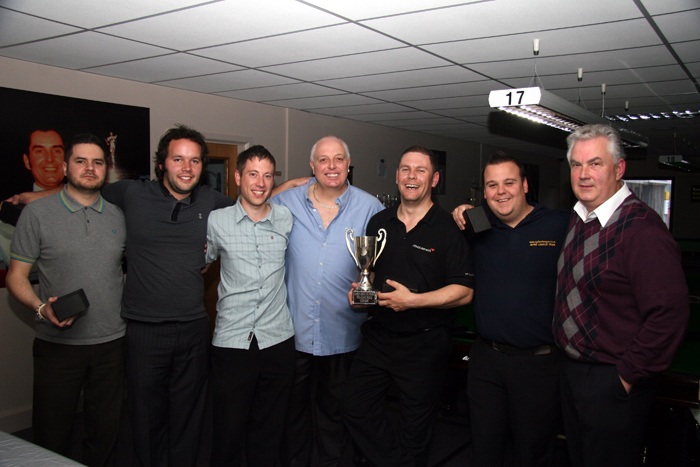 Once again this was a very successful and enjoyable evening on the Thursday following the final snooker league fixture. Congratulations to all the winners and well done to all the players involved in all of the matches.